Swazzle's puppeteers have years of professional experience with such companies as The Muppets, The Jim Henson Company and Disney. 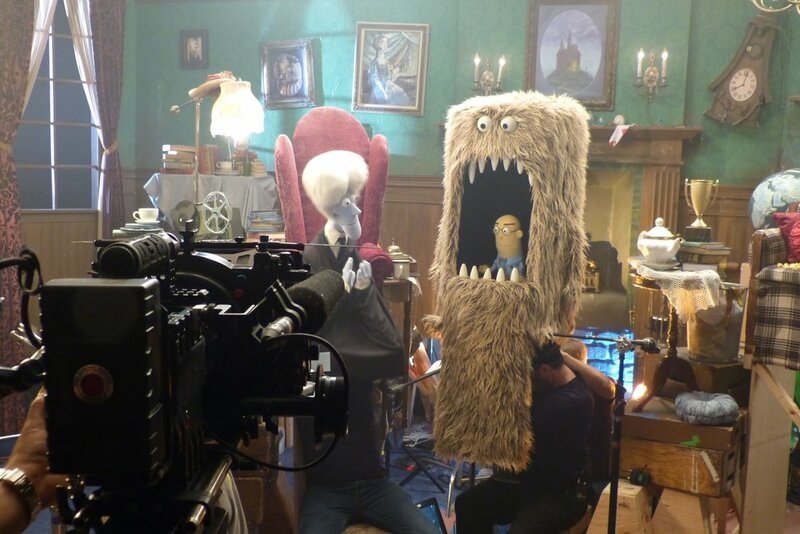 Swazzle worked with the creative team at Retrofit Films to produce live-action puppet segments for Amazon Studios' animated series Little Big Awesome. Swazzle created several custom props based on designs provided by Titmouse Animation, as well as a variety of puppets, walk-arounds and specialty costumes for celebrity guest actors. The series also included custom-built sets that were designed and constructed to safely accommodate the puppeteers and actors, along with live animals. Swazzle's cast of talented puppeteers lip-synced and performed to prerecorded vocal tracks to bring the wacky puppet characters to life. Swazzle served as puppet producers for the eight-minute Cartoon Network pilot Pillywags Mansion. Swazzle worked with the creative team at Retrofit Films to shoot the project. The show featured a cast of five puppeteers performing custom-built puppets, including a talking movie screen, a goblin and a large furry monster. The show included an elevated, purpose-built set with specialty rigging and custom props. Swazzle and Retrofit provided editorial services, and Swazzle's Patrick Johnson served as co-director.